Time to be On Time! 1 in 5 people are late to work once a week. Are you? It can be really difficult to monitor your staffs' comings and goings, but if you don't, those few minutes late for just one worker every day can lead to hours of work missed every month which you may be still paying for. On top of this, frequent lateness contributes to a negative working envoirnment, as other workers will notice the lack of discipline paid to the late comer. Research also highlights that late comers are more distracted and are far more likely to suffer from stress in the workplace. 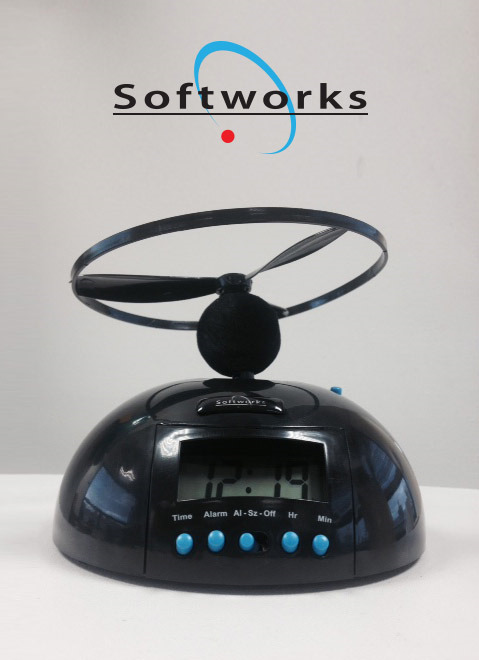 Softworks Time and Attendance system is an easy to use, powerful, automated time recording system that captures 100% of your organisation’s rules and work practices. With over 1,000 implementations across the UK, Ireland Canada and USA, Softworks Time and Attendance will help your organisation to build a clear picture of employee time through detailed dashboards, KPI’s, proactive alerts and reports on attendance, absenteeism, overtime, flexi-balances, scheduling and holiday leave. Our systems can shedule alerts to notify managers when an employee arrives late, and allows reporting on an employee's punctuality. If 9 - 5 if proving problematic in your envoirnment, Perhaps this be a good time of year to consider implementing flexitime in your workplace. Softworks Flexible Working can assist you to easily manage flexible working hours and family friendly policies, which will in turn assist you to attract, retain and motivate a talented workforce. Join our #timetobeontime campaign this December to promote a timely workforce in your office. To celebrate we have really annoying alarm clocks to give away. Just register yourself or a collegue who you think needs one. We will also send you our expert tips on time management in your workplace.